Robert Oakley Beer was born on 6 April 1910. Beer graduated from the U.S. Naval Academy in 1932. As a Commander during World War II, Beer was the Commanding Officer of the Destroyer USS Carmick (DD-493). On D-Day, Beer's command supported the invasion forces landing on the beaches in France. 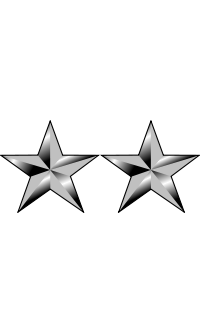 For his courage and professionalism, he was awarded the Silver Star. 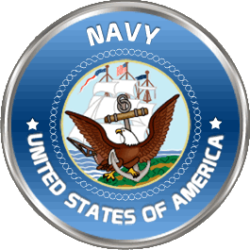 In 1952, Captain Beer was the Assistant Chief of Staff for Plans and Operations, and Operations Officer, on the Staff for Commander Amphibious Force Far East from 4 August 1952 to 29 January 1953. During the Korean War he assisted in directing the operations of the Amphibious Force, Far East, comprising over sixty ships, including widely separated shore-based units of Naval Beach Group One. Beer also assisted in the planning and execution of the Kojo Amphibious Demonstration in October of 1952, off the enemy-held shores of North Korea. In addition, he effectively coordinated the redeployment of Army units from Japan to Korea and return, as well as prisoners of war and supervision of logistic lifts of important material. Rear Admiral Robert Oakley Beer died on 13 February 1990. He is buried at the U.S. Naval Academy Cemetery in Annapolis, MD.